Alpha Pig, Super Why! and Wonder Red in Wheeling. 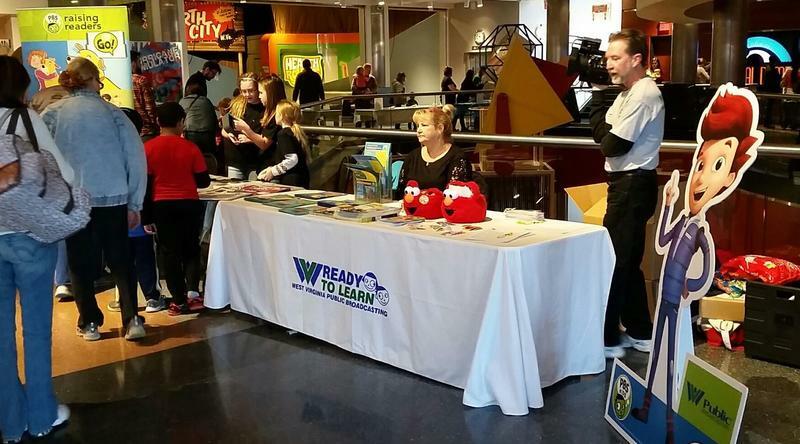 WVPB and the Children's Museum of the Ohio Valley joined forces on Saturday, April 30 to provide a great community day for families in Wheeling. 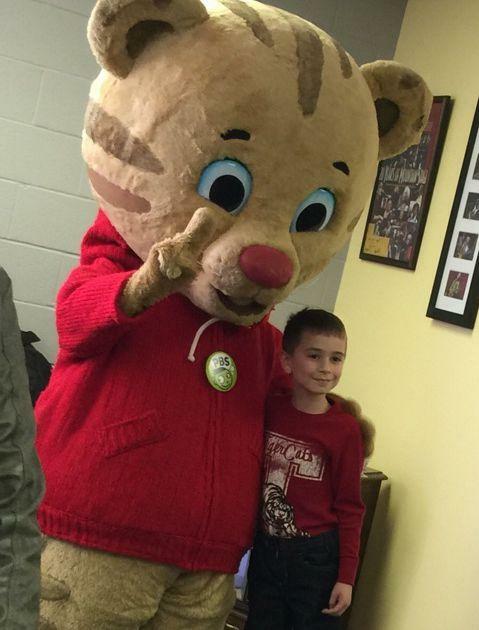 Daniel Tiger met all sorts of friends on Saturday, April 2 at our Morgantown Studios. Over 300 people stopped by to say hello to Daniel, bring sweaters to contribute to our Mr. Roger's Neighborhood Sweater Drive and take part in activities aimed at helping neighbors. Children and their parents made placemats for the elderly, created cards for Vets, and planted seeds to replant in their yards all as part of learning how to be good neighbors. On Saturday, February 6, over 500 children and their parents came to the Clay Center to help launch PBS Kids' newest program Ready Jet Go! Joining in the fun for the day were Super Why? and Friends. Participants in the day were treated to a screening of Ready Jet Go! which premiers on WVPB on February 15th at 7:30A and again at 4:00P. Additionally, they took part in launching rockets and other science related activities.